We all mouth breathe a little bit during a cold, while running, or when lifting something heavy; however, doing it all the time may have negative effects on your dental health. Most people who are chronic mouth breathers do not even realize it, which is especially distressing for all of us at my Douglasville dental office. People don’t mouth breathe because they choose to, they typically do it because there’s something wrong with the nasal passage. When you can’t get enough oxygen by breathing through your nose, you do the only other thing you can – you breathe out of your mouth. Chronic mouth breathing may result in some serious dental and facial issues. When a child mouth breathes, it may actually impact the natural growing process of their face. When we use our mouths to breathe, our posture has to change to keep the airway open. In a kid, if mouth breathing and this change in posture is left untreated, it may lead to a long, narrow face, a narrow or flat nose, a short upper lip, and a pouty lower lip. Additionally, it could create some other concerning oral health problems in both children and adults. Many people don’t know the multitude of issues that are linked to mouth breathing, which worries your dentist in Douglasville. However, the many problems associated with mouth breathing are so serious, they were highlighted in a study conducted by the Academy of General Dentistry. Chronic mouth breathing may lead to overcrowded teeth, a gummy smile, problems with facial development, even with the overall health of your mouth. Using your mouth to breathe instead of your nose increases your risk for several oral health issues. Breathing out of your mouth dries it out and decreases saliva production. Without saliva, dangerous acids and bacteria are left to create problems like tooth decay and gingivitis. More so, mouth breathing can lead to chronic bad breath, poor sleep, headaches, and sore throats. If you’re experiencing any of the symptoms of mouth breathing, or if you know you are a mouth breather, call my dental office in Douglasville. We have the ability to recognize mouth breathing and can work with you to fix the problem and get your mouth, and quality of life, back to health. Serving patients in Douglasville, Lithia Springs, and Villa Ricca. Taking antibiotics prior to a visit to your Douglasville dentist used to be a common practice if you had a heart condition or received a joint replacement; however, this may no longer be the case. Recent research has shown that the use of too many antibiotics could actually outweigh the benefits, and using them as a precaution isn’t doing much good. 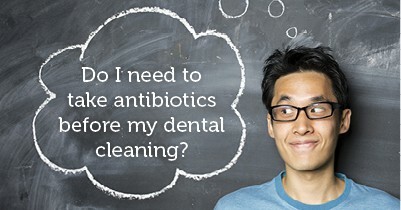 However, while using antibiotics as a precaution against infection during dental treatment isn’t common anymore, there are still some individuals who should take antibiotics before visiting their dentist in Douglasville. Those with artificial heart valves, a history of infective endocarditis, certain congentital heart conditions, or a cardiac transplant that has developed a heart valve problem are some of the patients the American Heart Association recommends the use of precautionary antibiotics. A healthy at-home oral hygiene routine and keeping up with regular visits to my dental office in Douglasville will go a long way to preventing infection. This duo of oral health care helps keep bacteria levels to a minimum and decreases the risk of more advanced dental treatments.